The Roadrunners claimed a lead late in the first period Friday night and never looked back, skating to a 5-3 victory over the Texas Stars at Tucson Arena. Chalk up two consecutive wins for the club, who entering the week, were mired in their longest losing streak of the campaign. In the late stages of the opening frame, Jamie McBain pounced on a loose puck following a blocked shot in Tucson’s zone and fled through the neutral zone, eventually firing a shot high past the glove side of Maxime Lagace to give the Roadrunners a 1-0 lead. Less than three minutes into the second, McBain scored his second goal of the evening when his wrist shot from the point found its way through traffic and into the back of the net while Tucson worked on their second power play of the night. Moments later, Texas got on the board when Brandon DeFazio scored for the Stars. Anthony DeAngelo reclaimed a two-goal lead for the Roadrunners when he buried a wrist shot of his own from the point, registering Tucson’s second power play marker of the contest. Brandon DeFazio once again responded for Texas, cutting the Roadrunners’ lead back to one with just under eight minutes to play in the middle frame. Michael Bunting, who was shifted up to the first line upon the recalls made by the Arizona Coyotes on Thursday, cashed in to score Tucson’s fourth goal of the evening. Christian Fischer hopped on a puck misplayed by Maxime Lagace behind Texas’ net and fed a wide-open Bunting atop the crease, who with fantastic hand-eye coordination, was able to jam the puck home. 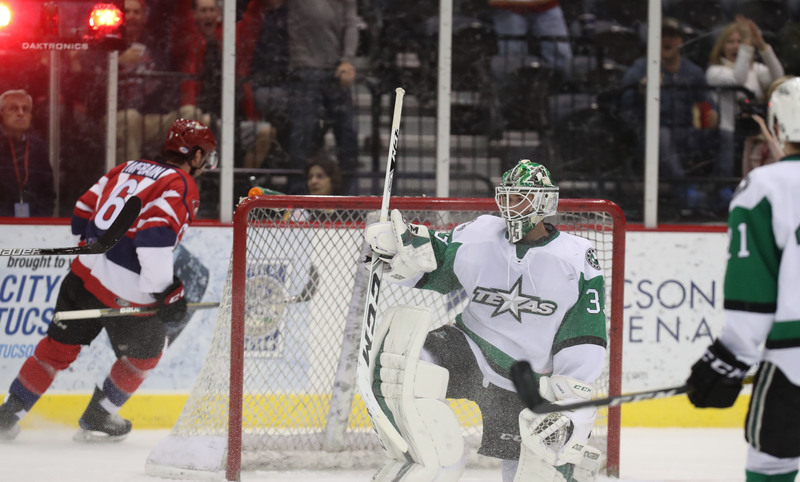 Texas’ Brand DeFazio registered a hat trick just over five minutes into the third, but that’s all of the scoring the Stars would receive Friday night. Adin Hill stopped everything directed his way for the remainder of the night; he finished the game with 37 saves to record his 10th win of the season. Christian Fischer netted his 14th goal of the season with 37 seconds left in regulation while Maxime Lagace was pulled from Texas’ net for an extra attacker. 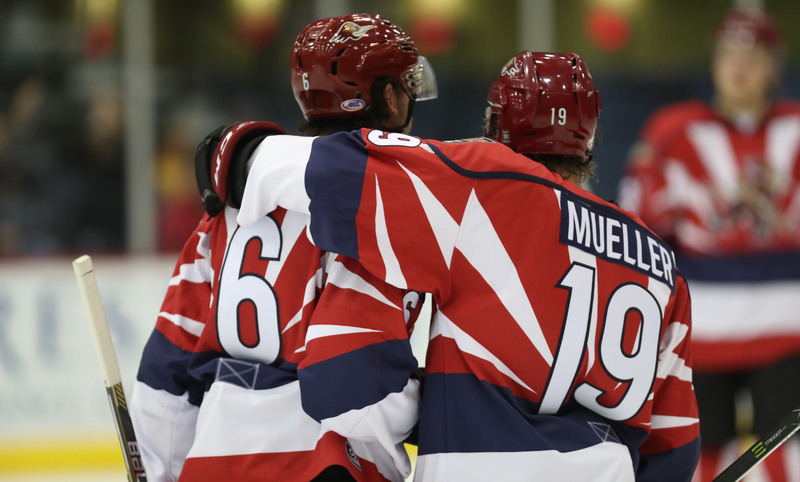 Chris Mueller (3A) led all Roadrunners players in points scored (3), Anthony DeAngelo in shots registered (6). The teams will meet for a rematch Saturday night at Tucson Arena; the puck is scheduled to drop just after 7:05 PM. Saturday night’s game features $1 hot dogs, popcorn, and sodas, as well as a game-worn jersey auction afterward for the team’s University of Arizona-themed sweaters.